A few days ago I mentioned in a blog that I didn’t have a bucket list because there are too many things in the world that either I’m not aware of that perhaps I would like to do, or if I am aware of the things, I’m not aware that I would like to try them. Several people pointed out that bucket lists have become a cliché, which they are, but the way I figure it, they are also redundant. A bucket list is a list of things you want to do before you die. As far as I know, every list is a list of things one wants to do before they die. A shopping list is more immediate and a heck of a lot less exciting than a list of activities such as sky diving or mountain climbing, but still, it’s a list of things to do while you are alive. 1) Make an appointment with God. 2) Tell Him/Her what He/She did wrong when creating the world. 3) Learn how to play the harp. 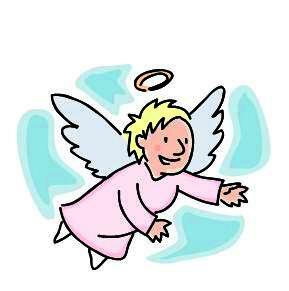 4) Shop for the latest fashion in wings and halos. 1) Amass a stock of aloe for burns. 2) Find your friends, especially those your parents once warned you about. 3) Look for a hot guy. 4) Have a hell of a good time. Now those are bucket lists! I like that second one. Sounds just right for the zombie apocalypse. LOL! What a fun post. Thank you for giving me a smile this day. I like your way of thinking…..